If consumer preference is to be taken as a key factor in a business revival efforts, then Nokia should take heed and go into what consumers are after. That at least is the sentiment of a Bloomberg analyst. 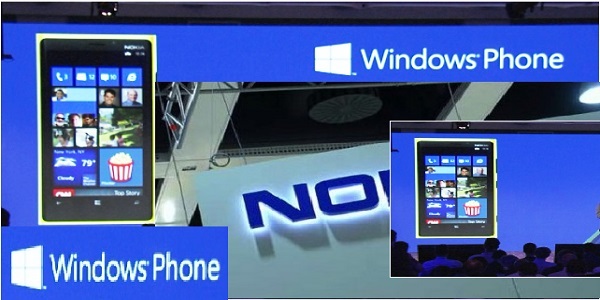 In a recently published column, Bloomberg’s Adam Ewing noted that Nokia’s efforts towards revival through its Lumia handsets series could go to nil if the company keeps on neglecting consumers shift and preference for big screen handhelds. Because of the convenience offered in web browsing and video viewing, consumers are increasingly preferring to purchase smartphones that have screens that measures 5 inches (13 centimeters) or bigger. For the same reason, other buyers purchase tablets to accompany their mobile handsets. This is a market niche dominated by Samsung and Apple, respectively, and where Nokia is conspicuously absent. Neglecting market signals regarding large screens will be the third time Nokia fails to take advantage of a major trend, if ever. It should be recalled that way back in 2004, the company was reluctant regarding clamshell handsets, and afterwards, it was also slow in embracing touch screens. Presently, the company should not overindulge in sustaining its revival only through the Lumia. Analyst and researcher Francisco Jeronimo of London-based IDC notes that smartphones are now being used by consumers in different ways than ever, consuming media through streaming via faster mobile networks. The logic, therefore, of smartphones with 5 inch screens cannot be denied, and this is a trend the Finnish company should not overlook. According to Jeronimo, sales of handsets that are 5 inch or bigger soared to 29.7 million units last year, a significant increase from only 1.2 million units sold a year earlier. Nokia has not made any announcements yet if it had plans of releasing a bigger device, but Jeronimo believes the company will be preparing one and may release it in a few months. On the other hand, Nokia’s spokesman James Etheridge noted that the company is still studying consumer interest for such devices. Meanwhile, the Galaxy S3, a 4.8 inch device from Samsung, became the world’s best selling smartphone last year. Samsung has since responded to market demand by introducing the Galaxy S4, which boasts of a 5-inch screen. Other smartphone makers are also in favor of bigger screens. Huawei’s Ascend Mate has a 6.1-inch screen, while ZTE’s Grand Memo features a 5.7-inch. Samsung’s Note 2 is 5.5-inch big while its Note 8, unveiled early in February, boasts of an 8.0-inch screen.